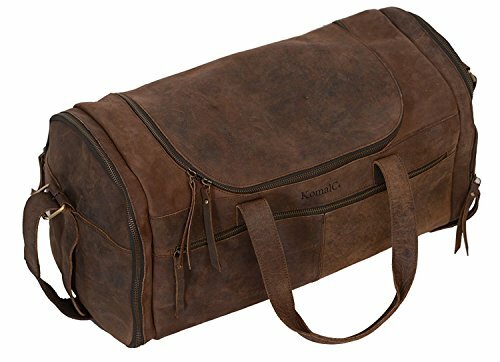 Description: 100% genuine leather Duffel Gym / Sports / travel /cabin Bag with durable inner canvas lining and antique look accessories, Size 21" Length x 10" height x 9" Width. Multi utility bag can be used as a travel, picnic, gym, weekend and sports bag etc. Genuine handmade product made from chemical free leather. A nice travel bag option and a perfect companion and gift for your close ones.